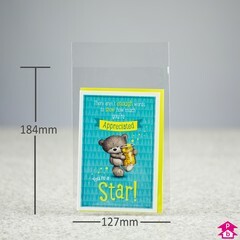 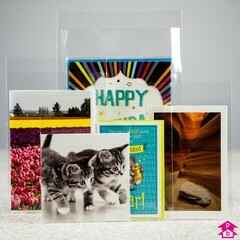 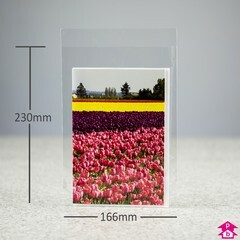 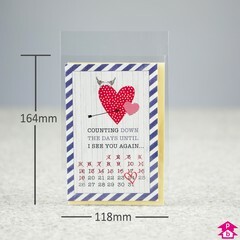 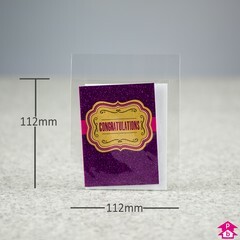 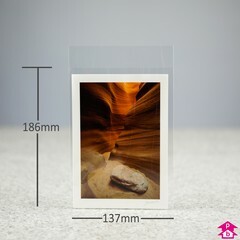 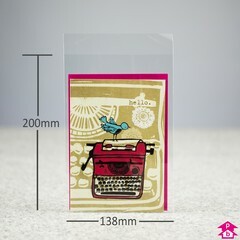 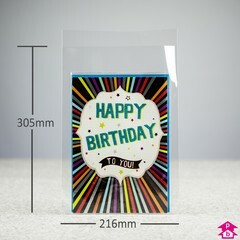 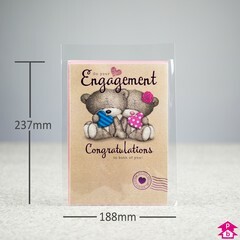 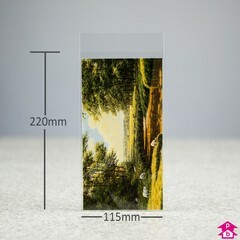 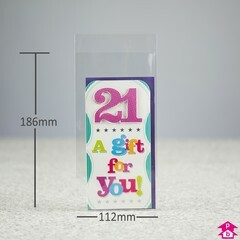 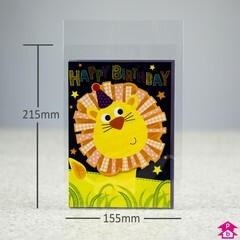 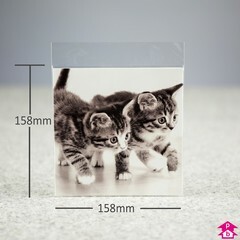 A great range of high clarity greeting card bags in our budget range. 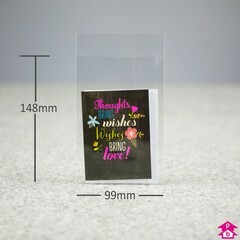 Made from crystal clear polypropylene - a stronger, higher clarity and cheaper alternative to cellophane - these bags will make any greeting card sparkle. 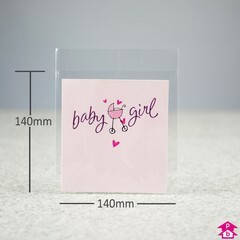 Perfect for birthday cards, anniversary cards, Christmas cards, wedding cards, new baby cards, Valentine's cards, congratulations cards, get well soon cards... pick a card, any card! 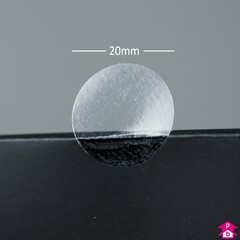 Available in 14 different sizes from 99mm x 148mm to 216mm x 305mm, each with a 25mm lip to seal. 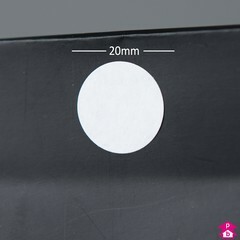 We also stock adhesive discs to seal the bags (or see our premium peel 'n seal range).